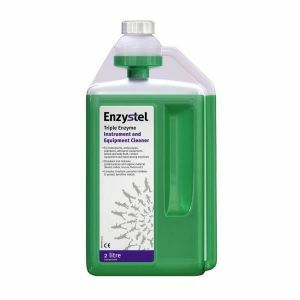 The unique non-corrosive, non-foaming action makes this triple enzyme Enzystel ideal for cleaning instruments and equipment where blood, mucous, saliva, faeces or other body fluids are present. Excellent for cleaning hollow instruments such as trocars, drianage tubes and cannulae. Extremely economical when used at the recommended dilution listed on the label.